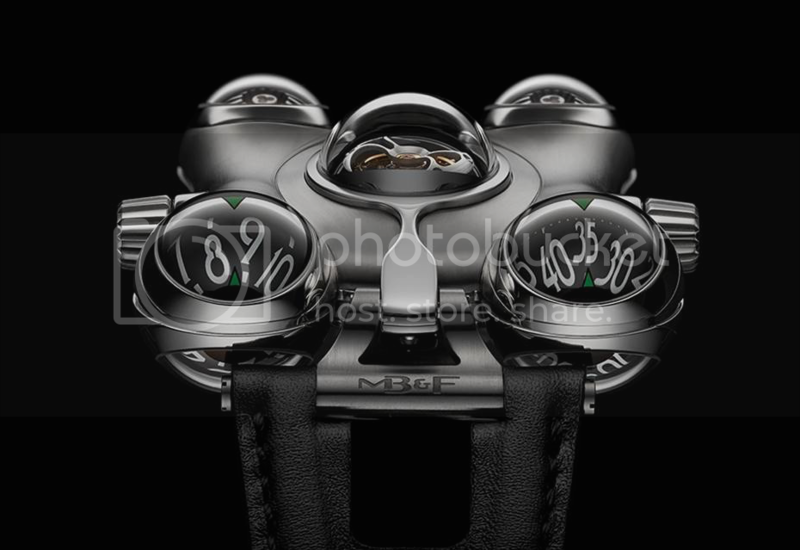 Although the entire Internet seems flooded with it already, I couldn’t resist posting about the new MB&F HM6. What an out-of-this-world watch! Adequately nicked ‘Space Pirate’, Max & Friends sure did it again. The watch case, lacking any straight lines and fitted with 10 domed sapphire crystals, is made of solid titanium. Its form inspired by Japanese sci-fi cartoons combined with the organic curves of industrial design from the seventies. For more information and technical details, do not miss the video [click!] in which Max explains all about the construction and origin of the idea behind it. This entry was posted on November 4, 2014 at 22:12 and is filed under front page, news. You can follow any responses to this entry through the RSS 2.0 feed.